Imagine being homeless. With no job, and no easy access to food, you’re not sure where you’ll rest your head tonight. Now imagine you also have HIV. This is the reality that faces many men, women, and children living with and affected by HIV in Minnesota tonight. 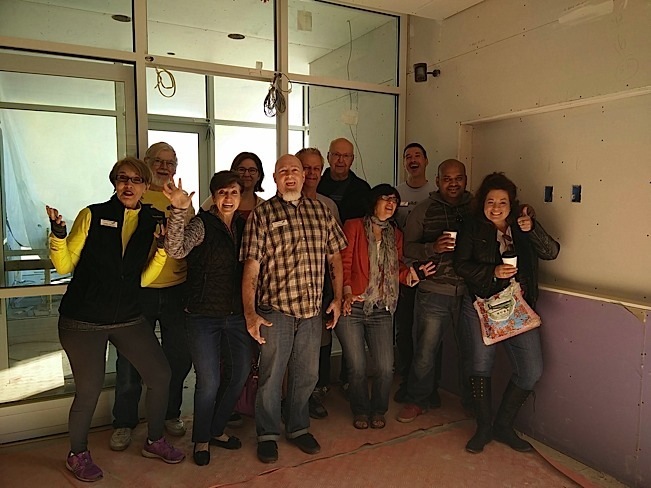 Supporters and staff clown around on a “Hard Hat” tour of Clare Terrace. The Robbinsdale community has been very welcoming. Photo courtesy of Clare Housing. 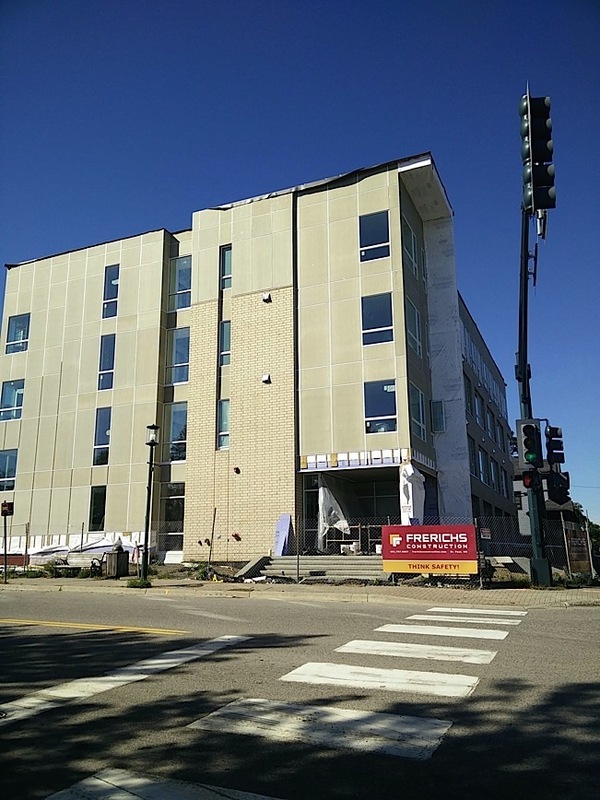 The good news is, on December 1, World AIDS Day, Clare Terrace will open with a house warming celebration in Robbinsdale, Minnesota. Once open, this new apartment building will end homelessness for 36 men and women living with HIV/AIDS. Many of those new residents will be handed the key to their new home on December 2. Clare Housing is a nonprofit organization that provides a range of affordable, supportive housing for people living in poverty and with HIV. Although the importance of housing isn’t immediately apparent when you think of fighting the HIV epidemic, when you look at the numbers, you quickly realize the power of supportive housing as a strategy to help people get healthy and end the spread of HIV. Within the state of Minnesota only 63 percent of individuals living with HIV are virally suppressed. Virally suppressed means that someone with HIV has no detectable HIV in their blood stream. Still more are not even aware that they’re HIV positive. Knowing your status, maintaining treatment and an undetectable level of HIV improves individual health and reduces the likelihood of HIV transmission. An exterior shot of the new Clare Terrace take on North France Avenue. Photo courtesy of Clare Housing. How many Clare Housing residents are virally suppressed? Ninety-one percent. That’s nearly 30 percent more than the state average. Supportive housing is making a huge impact. It’s helping people take control of their lives and get healthy. Living at Clare Housing enables many residents to get their future back. That’s a powerful thing, and it’s something worth celebrating. That’s why on December 1, World AIDS Day, from 4 to 7 p.m., Clare Housing is holding a house warming celebration for Clare Terrace in Robbinsdale. The event is free and open to the public. There will be a short program at 4:30 p.m. where the supporters that made the new apartment building possible will give brief remarks. Following the program, attendees will get the chance to tour the completed terrace while sipping warm drinks and enjoying light refreshments. Thoughtful details: Clare Terrace has beautiful full-sized windows in stairwells to encourage residents to get exercise by using them. Photo courtesy of Clare Housing. Attendees are encouraged to bring non-perishable food items. Food donations will stock the shelves of the men and women who will be moving into Clare Terrace during the month of December. Over 115 people have applied to live at Clare Terrace. Many have been sleeping rough on the street, couch surfing with friends, or staying overnight at homeless shelters. One individual who will be moving in has been on Clare Housing’s waiting list for 5 years — waiting and waiting for the opportunity to access affordable supportive housing. After Clare Terrace opens, nearly 200 individuals will still remain on Clare Housing’s waiting list. If you’d like to get involved, please register to attend the house warming event at www.clarehousing.org/terrace, or visit the website to learn more about how you can help Clare Housing achieve its vision of an AIDS-free world through equitable access to housing and healthcare. 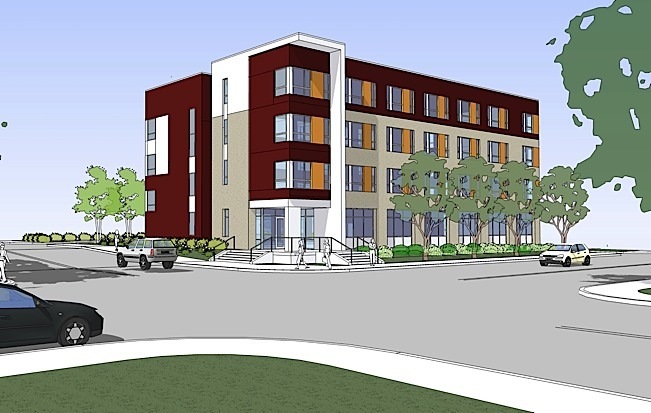 A rendering of Clare Terrace, set to open on World AIDS Day, December 1, in Robbinsdale, MN. 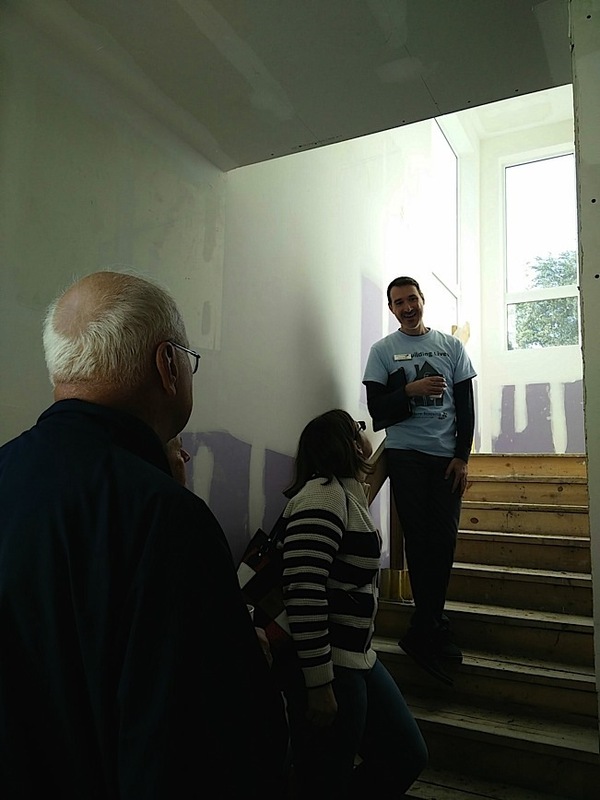 Terrace will provide affordable, supportive housing for 6 people affected by HIV/AIDS. Photo courtesy of Clare Housing.